AMDOR’s standard finish is a durable long lasting .0004 architectural grade anodized aluminum finish. 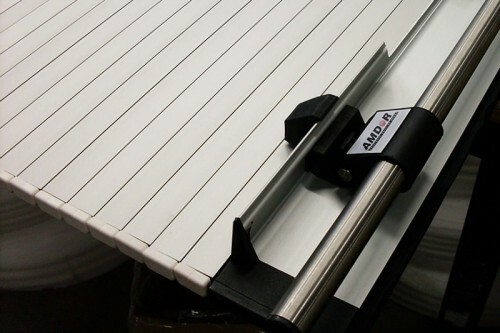 We pride ourselves on only using domestic suppliers for all of our extruded profiles. For those designing apparatus for highly abusive applications we also offer an upgraded brushed anodized finish. The brush lines will reduce the appearance of scratches caused by incidental contact with the door curtain’s exterior surface. Brushed finish is available on the door curtain slats only.